Tucked in India northeast corner, Sikkim tour explores the isolated and virgin territories of the region by spending eight days in company of nature. Beginning from New Jalpaiguri, the itinerary moves to Kalimpong - a quaint hill resort in eastern Himalayas. 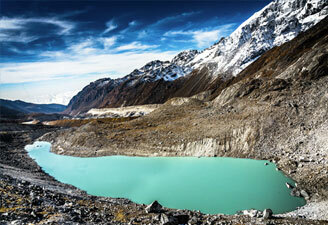 The next halt lands a tourist in the soothing Sikkim capital, Gangtok which showcases best monasteries and landscapes. Visiting Pemayangtse is another attraction in the Sikkim Tour enhancing knowledge about real Sikkim dwelling in its small townships. Rimbi Falls, Sacred Khechodpalri Lake, Kanchendzonga Falls & Rimbi Power Project throw a light on a distinct Sikkimese culture. 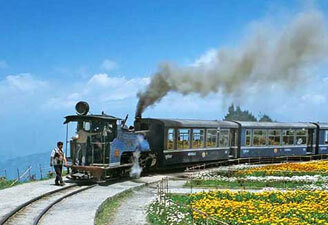 The bonus with this itinerary is discovering the vast greens of Tea Gardens of Darjeeling. Morning transfer to Airport / Railway station to catch flight / Train to Bagdogra Airport / New Jalpaiguri Railway Station. Upon arrival transfer Welcome on arrival at Bagdogra Airport / New Jalpaiguri railway station and Transfer to Kalimpong (75kms / 02hrs), a quiet hill resort in eastern Himalaya. Kalimpong is famous for its Orchids & Nurseries and some of the some of the rarest cacti & Orchids can be seen. Oak, Maple and chestnut stretch up the ridge as far as the eye can reach. Check in at Hotel followed half day sightseeing in and around Kalimpong covering Durpin Dhara, Zong Dog Palri Fo-Brong Monastery, and Flower & Orchid Nurseries & Kalimpong Market. Overnight at Hotel. Day 03 - Kalimpong - Gangtok. Morning Transfer to Gangtok (85kms / 3 Hrs), Gangtok is the capital of the state of Sikkim is a beautiful and clean town promising of the best monasteries and landscapes. .Afternoon visit to Roomtek Monastery & Dharma Chakra Centre(24Kms/45Mins), the sect of the Kagyu order - one of the 4 major Tebetian Buddhist Sector (24Kms/45Mins). Overnight at hotel. Morning start for a half day trip to Tsomgo lake (12400ft), which is only 32kms from Gangtok City, the lake is almost about 1Km long, oval in shape and 15 mtrs deep. The lake is considered sacred by the local people. Return To the hotel for lunch followed by a half day city tour covering Chortan, Stupa, Institute of Tibetology (Closed on Sunday) Institute of Handicrafts and handlooms (Closed on Sunday) and Enchey Monastery. Overnight at hotel. Day 05 - Gangtok - Pemayangtse. Morning transfer to Pemayangtse (125kms/6.5hrs), en route visit Ravangla - a small township in South Sikkim at the base of Menam Hill. Located at an altitude of 6,800 ft, Pemayangtse is a very small Himalayan village in West Sikkim. Pelling is the nearest motorable point from Mt. Kanchendzonga, worlds 03rd highest peak, offers a good sunrise and all day long view of Khangchendzonga and the entire Eastern Himalayan range. Overnight at hotel. After breakfast start for half day sightseeing in an around Pemayangtse, covering Rimbi Falls, Sacred Khechodpalri Lake, Kanchendzonga Falls & Rimbi Power Project, & .Pemayangtse Monastery appreciate the new culture you are in. Overnight at Hotel. Day 07 - Darjeeling Sightseeing. Today you will be transferred to Bangdogra airport / New jalpaiguri stations (95kms/ 3hrs), to catch flight / train for Delhi .Upon arrival on Delhi transfer to airport to connect flight for onward destination.